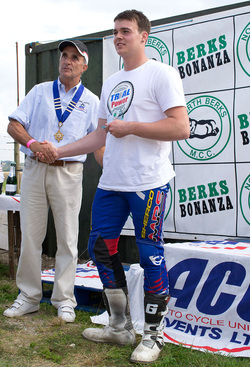 2011/age 18: 6th place in the British trials championship. 2010/age 17: 8th in the British Championship, the highest level in this country, 2nd in the national series. 2009/age 16: British expert 125 champion and 3rd overall in the expert class, 8th overall in the world 125 championship. 2008/age 15: British A class trials champion (a year early), YMSA 3day trials champion. 2007/age 14: A class British trials championship (2 years early), 2nd in YMSA 3day trial. 2006/age 13: B class British trials champion, YMSA 3day trials champion. 2005/age 12: 6th in B class trials championship (a year early), YMSA 3day champion in B class. 2004/age 11: C class British trials champion, YMSA C class champion, YMSA 3day C class champion. I started riding motorbikes at the age of three, as soon as I could ride a pedal bike. My first motorbike was a pw50 and I got my first trials bike at eight years old; a Yamaha ty80 with which I won my first ever trial. In 2002 I competed in my first British championship trial on the ty80 and again won, finishing second overall at the end of the year. Shortly after, in 2004, I was signed to ride for the GasgasUK trials team aged eleven. 2004 was a successful year for me as I won each and every competition I rode in. This resulted in me being crowned the British C class champion. I was also crowned YMSA (Youth Motorcycle Sporting Association) champion; another Youth National Championship in which I participated. At the end of the year I applied for special dispensation from the ACU (Auto-Cycle Union) to be able ride up into the next highest class; a year earlier than officially allowed. My success continued and in 2006, my first official year in that age category, I was crowned B class British trials champion, which led to my second application to the ACU for dispensation to ride up in the highest youth class, the A class; this was two years before the official age. In 2007, still two years early, I finished second. This year also led to me being able to compete in the European youth championship, finishing fourth. In 2008 I achieved fourth place again in the European championship and was crowned British A class trials champion; riding the class a year early. This is so far the only time this has been achieved. In 2009 I was signed to ride for the BetaUK trials team and competed in the World and British adult championships collecting another British championship title to my name, and finishing eighth in the world. 2010 saw me ride the whole of the national series finishing second, followed by finishing eighth when riding at the highest level of the British championship. I was also the youngest competitor in that class by two years. More recently, in 2011, I signed a two year contract to ride for the MRS Sherco trials team. During this year, I was also able to achieve the overall position of sixth place in the British Championship. I have also been riding for the south east trials team since 2003 in the annual Inter Centre Team Trial; my team members and I have won the last two years. 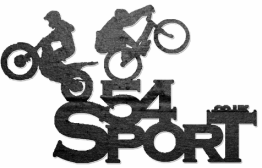 So far in 2012, I have continued to develop my passion for trials biking by beginning to teach it; offering it to all ages and abilities.